For the second consecutive year, 200 public school teachers from Loudoun took part in the Teachers College Summer Reading Institute. 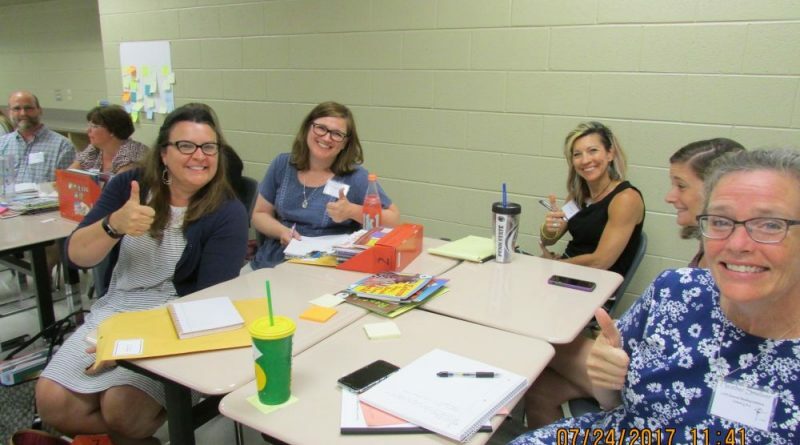 This year’s institute was held last week at Riverside High School for teachers providing instruction for kindergarten through eighth grade. The institute was first-come, first-served, and was so popular that a waiting list of 400 quickly formed, according to Evi Hickman, supervisor for pathways and elementary reading and writing. Teachers earn recertification points for participating. Providing instruction for the Summer Reading Institute were experienced staff developers from Teachers College Reading and Writing Project at Columbia University in New York. Teachers worked in grade-level teams across schools and in school-level teams with opportunities to pick workshops that taught how to address students’ specific needs. Principals were invited for a special session with the staff developers about leading literacy work in their elementary and middles schools. Among the workshops offered were: management and routines to support independence; methods and strategies to boost student fluency; helping struggling readers reach their full potential; and using digital resources.